This year the Dunolly Queen’s Birthday Festival is going with the theme “entertainment in the 1860s Goldfields”, meaning lots of 19th century-themed events celebrating the region's history. Across three historic Dunolly venues you can look forward to live music, theatre, exhibitions, walking tours and a high tea. It might be cold outside, but that won’t stop the fun, with all the hullabaloo starting on Saturday, June 9, with the Dunolly Street Band launching the festival at the courthouse. Bit of a diva? The Savoy Opera Company will be performing Gilbert and Sullivan's The Gondoliers later in the day at the Dunolly Town Hall. Saturday opens with the cheapest morning tea to hit the Goldfields. High tea and scones are just $5 at St John’s Church, plus your morning will be dramatically soundtracked by the church organ (high tea and organ music is the 1860s equivalent of a rave, we hear). 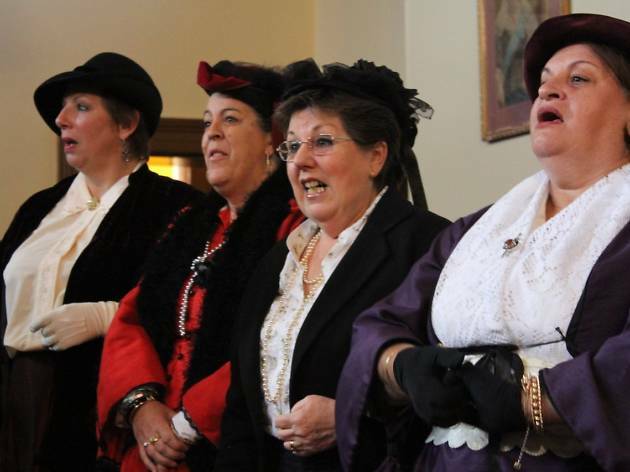 As the weekend winds on you can also look forward to choral performances, a walking tour with town historian John Tully and the ‘Dunolly Follies’ – basically Dunolly’s answer to Australia’s Got Talent.